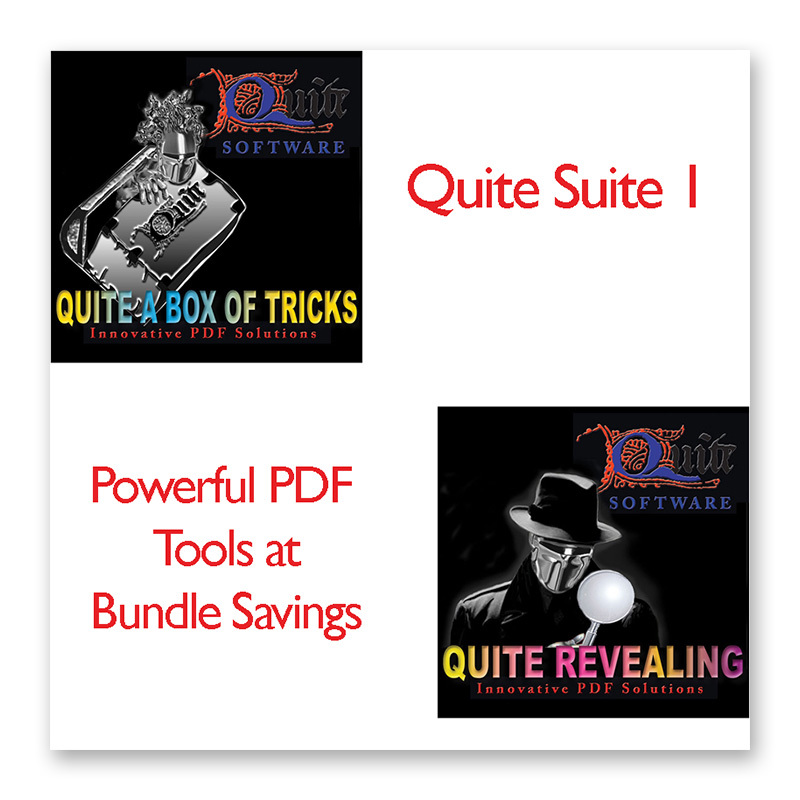 Quite Suite 3 - Buy Now! 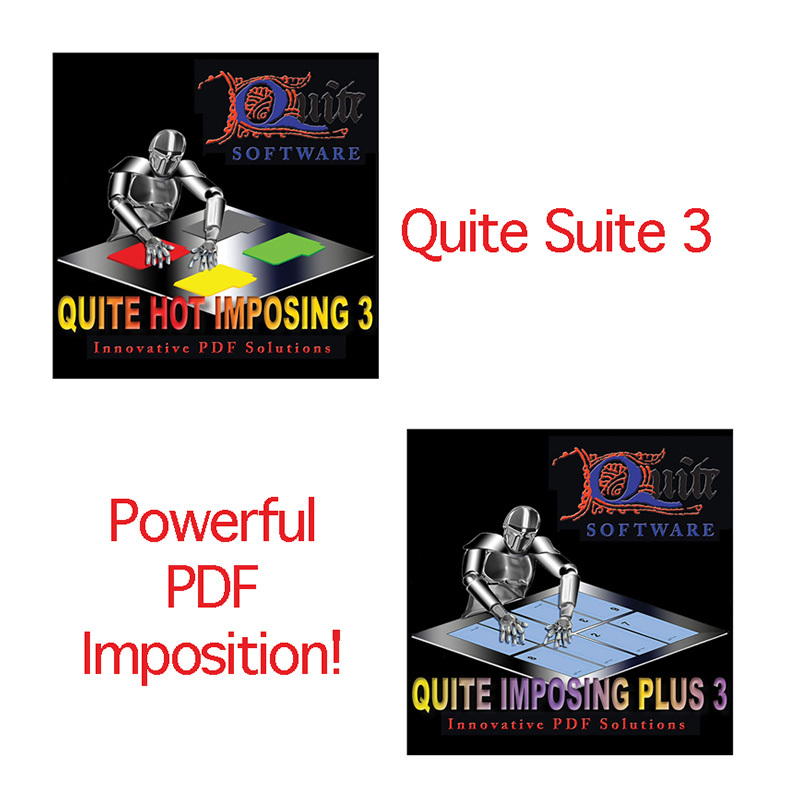 Quite products are specifically aimed at solving prepress PDF problems and will appeal to anyone dealing with imposition, changing PDF files or color management. 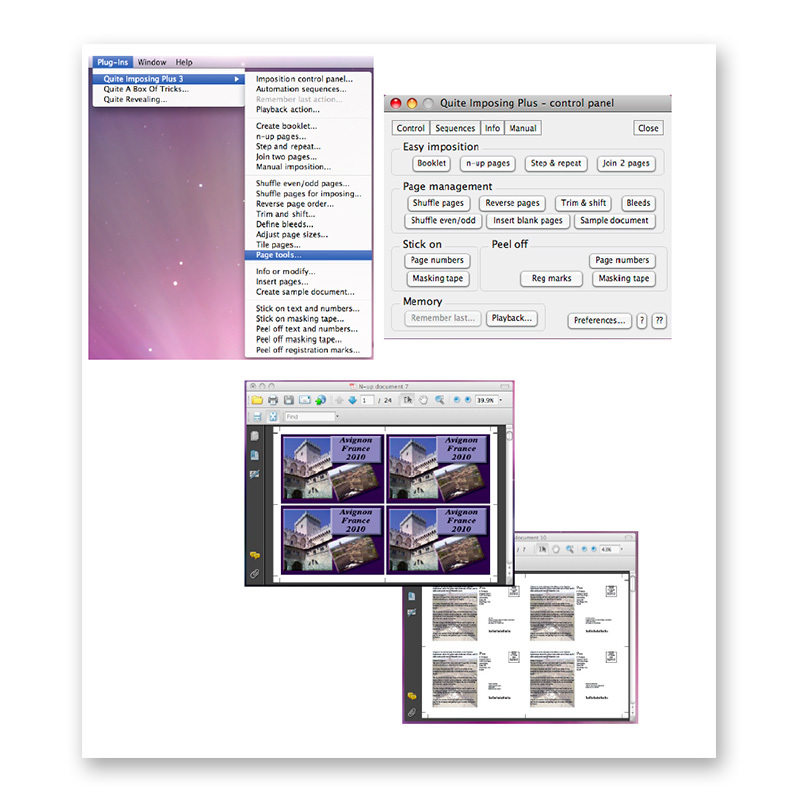 Intuitive and easy-to-use, Quite Hot Imposing is the stand-alone version of the Acrobat Plug-in Quite Imposing Plus. 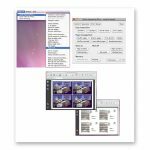 It will run on a Mac or Windows server allowing you to create customized workflows using either the hot folder or command-line tools within Quite Hot Imposing or an element inside an automated Switch workflow with the Quite Hot Imposing Plug-in that is part of a Switch installation. 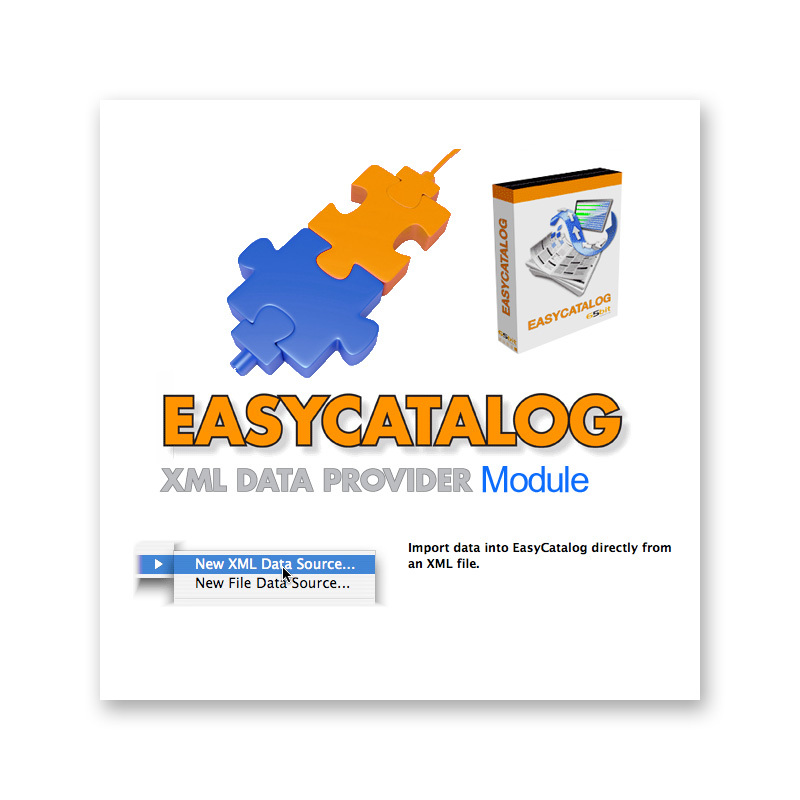 Quite Hot Imposing allows you to create sheet size specific templates, and export them to an XML file. The workflow you create just needs to point to the proper XML file for the imposition. An imposed PDF is saved quickly based on the XML template rules and is sent on its way to the next stop in the flow. 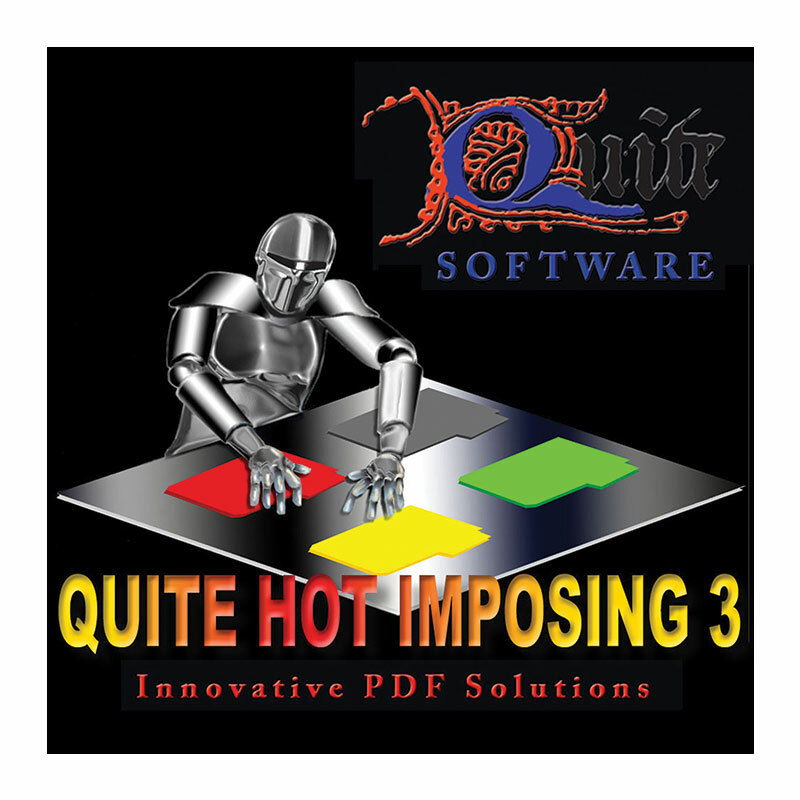 Quite Hot Imposing gives you the ability to save the imposed file into the same file that was received. Once it exits, it can be stored on a server, optimized with another Plug-in or sent directly to a RIP or proof. 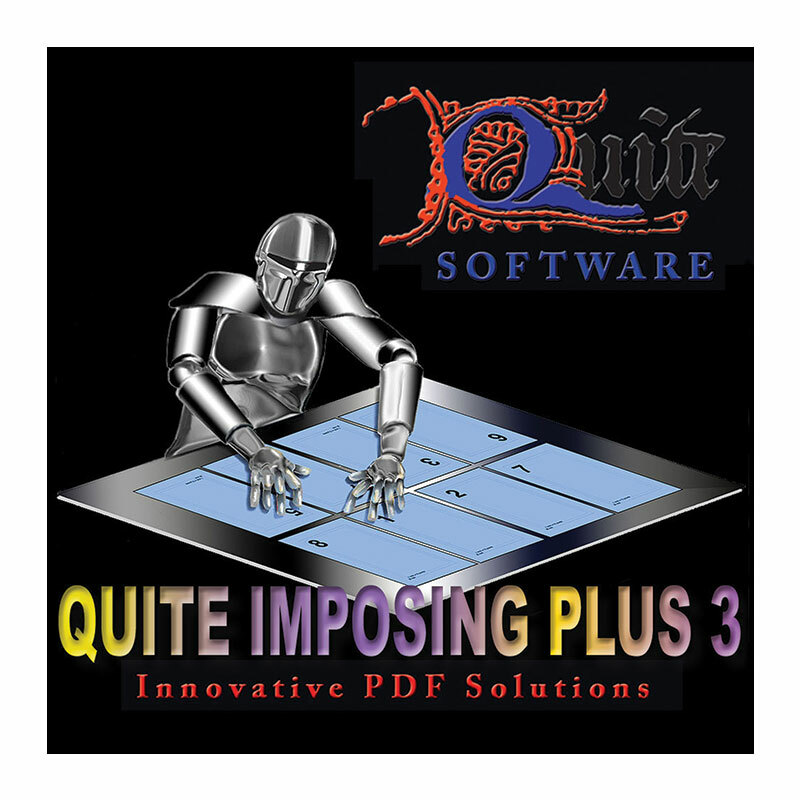 Quite Imposing Plus can take a PDF from any source, work out the signature formula for the most common types of layouts, (saddle stitched, perfect bound and cut stacks), shuffle the pages for the imposition and show you the layout in a new PDF document for checking, saving time and money. It can also deal with bleed and creep and can even guide you through a manually imposed layout. 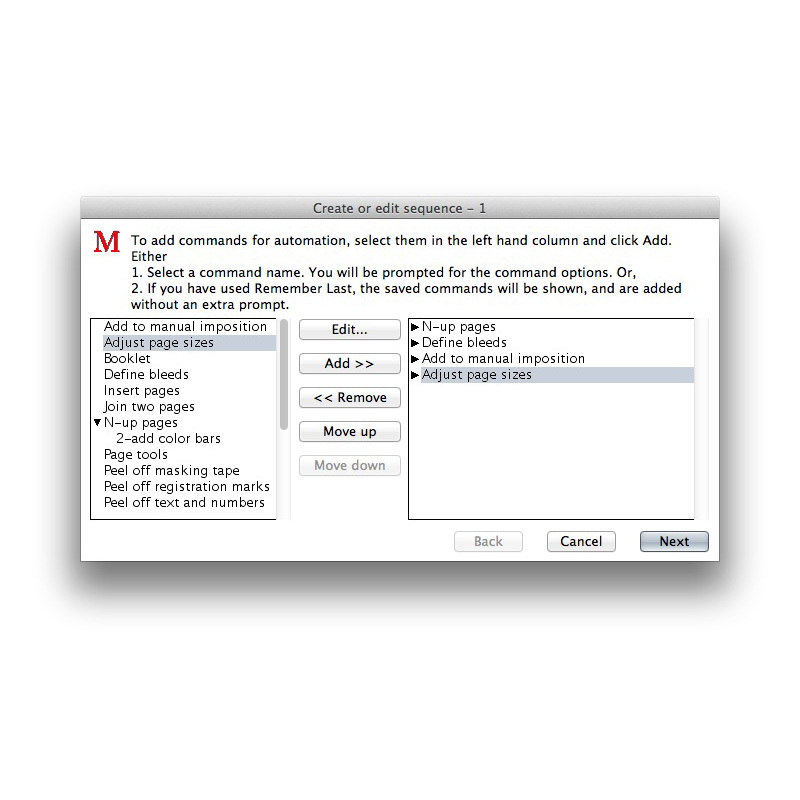 You can automate the process by naming a sequence of commands and playing them back on any other PDF file. 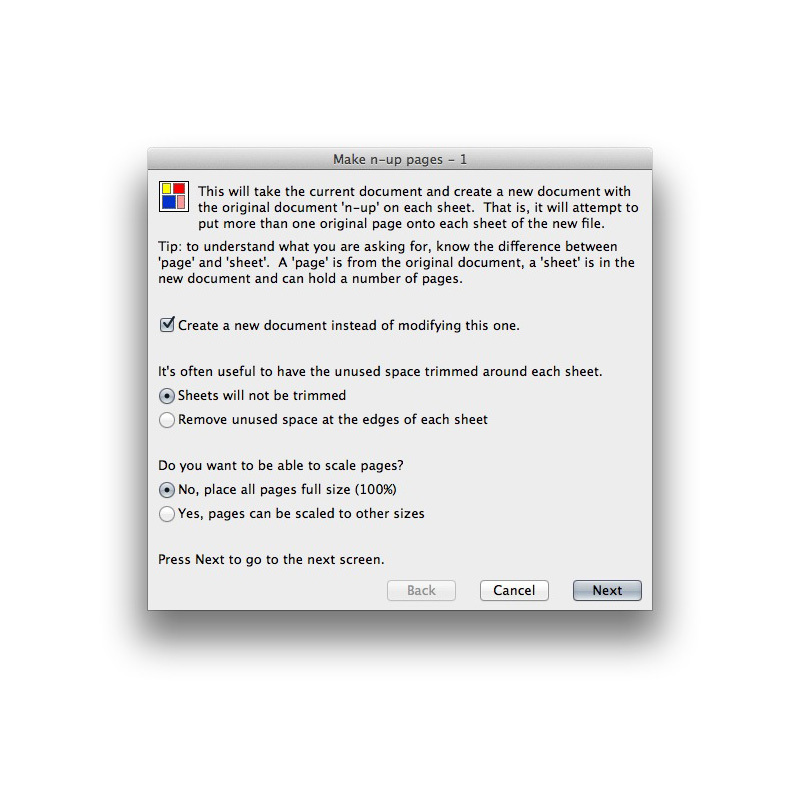 Another popular feature is the easy to use booklet maker, which can make a foldable booklet from just about any PDF file. 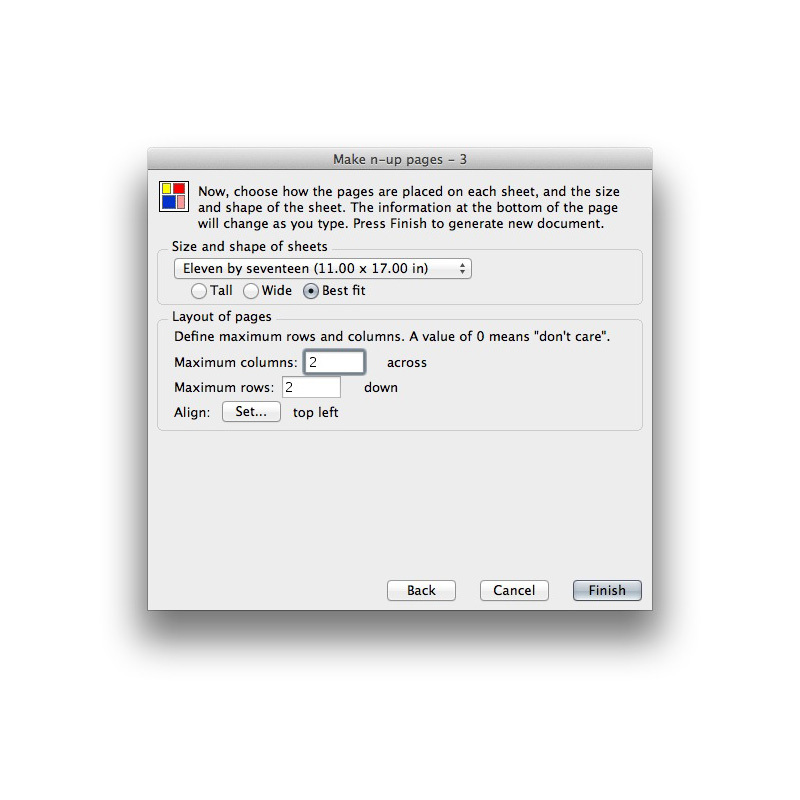 Quite Imposing Plus works completely visually in Acrobat, and you choose which files to print, save for later, or throw away. 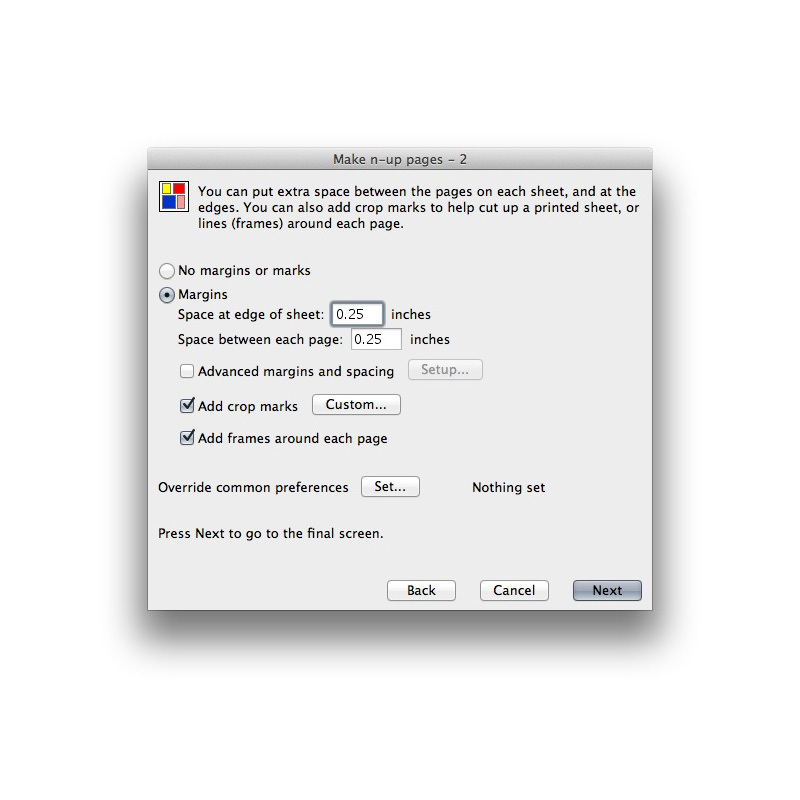 The latest release of Quite Imposing Plus adds fast page duplication (with or without collation), tiling of pages (with optional overlap and bleed), and anamorphic scaling (also with optional bleed handling). 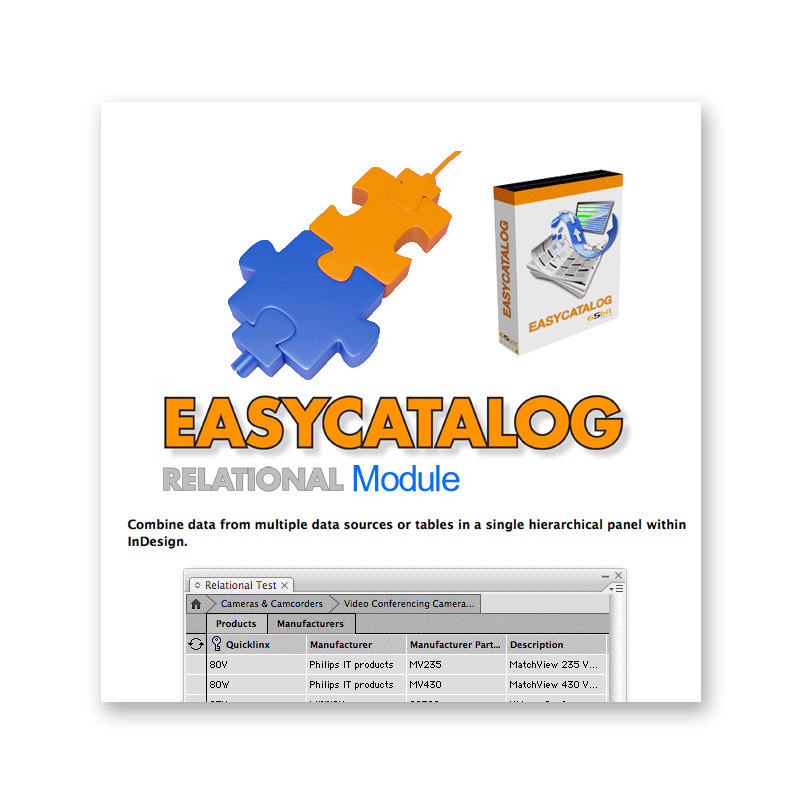 Categories: Manufacturer, Quite Software, Software Category, Content & Graphic Design, Adobe Plug-ins & Extensions, Print, Prepress & Publishing, Imposition, Output Tools, PDF Tools & Utilities, Print, Workflow, Production & Automation, Automated Output. Tags: 2-up, 4-up, 8-up, Acrobat, Adobe, Autmation, Automate, Bind, Binding, Book, Booklet, Command-Line, Enfocus, Impose, Imposed, Imposing, Impositon, Magazine, PDF, Prepress, Print, Printer Flats, Printers Marks, Production, Quite, Quite Software, Switch, Template, Templates, Trapping, XML.